What are the Frequently Asked Questions about Sanitary Valves? 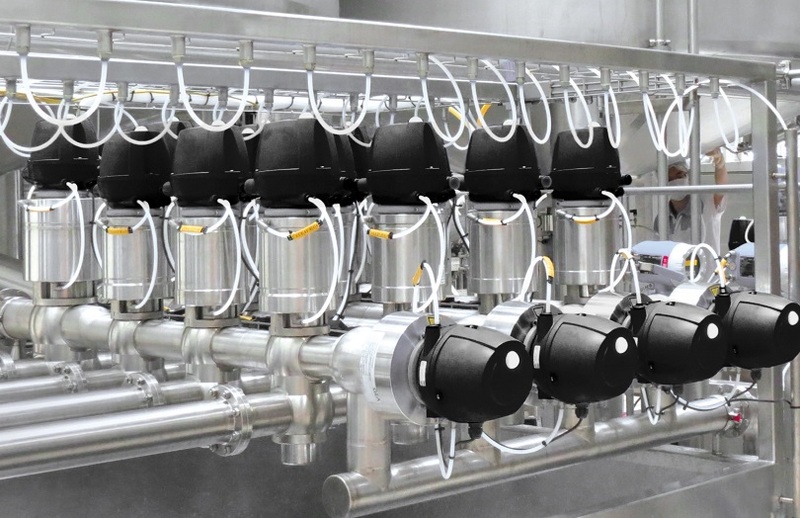 As one of the indispensable equipment in the food or pharmaceutical industry, there may be many problems with sanitary valves from selection to use and maintenance. Common types of questions are as follows. 1. What are the three main factors to consider when selecting an actuator? The response speed of the actuator should be considered to meet the process operation requirements, especially the electric actuator. 2. Which valves need flow direction selection? Single sealing type regulating valve such as single seat valve, high-pressure valve, single sealing sleeve valve without balancing hole shall be selected for flow direction. The flow-open valve works stably, but its self-cleaning performance and sealing are poor and its service life is short. The flow - closed valve has a long life, good self - cleaning and sealing, but poor stability when its stem diameter is smaller than the diameter of the spool. 3. Why is type selection more important than calculation? Compared with calculation, type selection is much more important and complicated. The calculation is just a simple formula calculation, which itself does not depend on the accuracy of the formula, but depends on whether the given process parameters are accurate. Selection involves a lot of content, a little careless will lead to improper selection, which not only causes the waste of manpower, material resources, and financial resources but also causes unsatisfactory use effect and brings some problems such as reliability, service life, and operation quality. 4. Why can't double seal valves be used as shutoff valves? The advantages of the double seat valve spool is a force balance structure, allowing a large differential pressure, while its prominent disadvantage is that the two sealing surface cannot be in good contact at the same time, resulting in a large leakage. If it is used artificially and compulsorily for cutting service, it will obviously not work well, even if many improvements have been made for it (such as double seal sleeve valves). 5. Why is the straight stroke regulator's blocking performance worse than Angle stroke valve? The valve core of the straight stroke valve is a vertical throttle, and the medium is a horizontal flow in and out, the valve chamber flow must turn, which makes the valve flow quite complex (inverted "S" shape).In this way, there are many dead zones, which provide space for the medium to precipitate, thus causing blockages in the long run. The throttle direction of the Angle stroke valve is the horizontal, the medium into the horizontal flow and then horizontal outflow, which is easy to take away the dirty medium. Besides, the flow path of the Angle stroke valve is simple, the space of medium precipitation is also very few, so the Angle stroke valve has good blocking performance. 6. Why should the cut-off valve be as hard as sealed as possible? Cut-off valves require as little leakage as possible. The leakage of the soft sealed valve is the lowest, it's cutting effect is certainly good, but it is not wear-resistant and its reliability is poor. From the double standard of small leakage and reliable seal, soft sealed cutting is not as good as hard sealed cutting. For example, the full-function ultra-light regulating valve, sealed and piled with wear-resistant alloy protection, high reliability, the leakage rate of up to 10 ~ 7, has been able to meet the requirements of the cut-off valve. Prev: How to Prolong the Service Life of Sanitary Fittings? Next: What kinds of valves are used in different industries?